Add a dutch oven, a deep skillet, a frying pan and a shallow skillet to your kitchen with this Cast Iron Combo Cooker from Lodge. Each piece features a long looped handle and a smaller handle on the opposite side. It is perfect for easy cooking and storage and the cast iron material makes for great heat distribution and retention no matter how you use it. 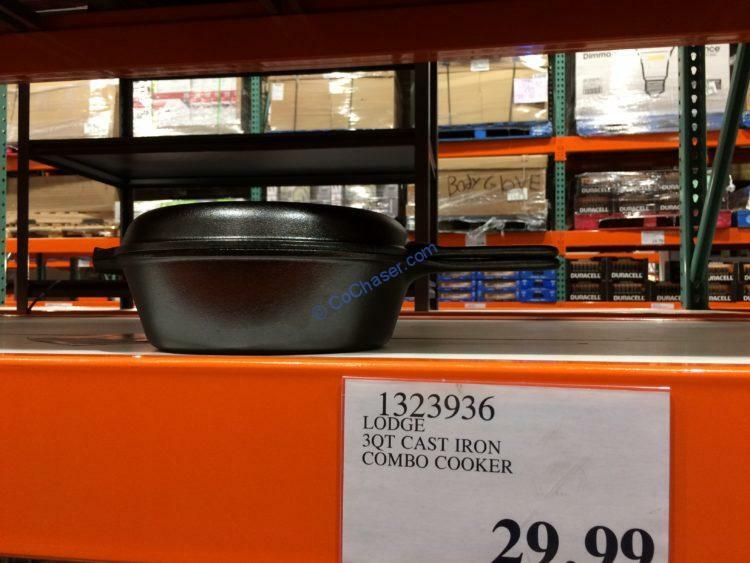 This black combo cooker features two cast iron pieces. When put together, they form a cast iron dutch oven that holds up to 3.2 quarts of food. When separate, you can use either piece for anything from fried eggs to sourdough bread.